WEEKLY FAT BURNING INJECTIONS INCLUDED WITH ALL PROGRAMS! YOUR SUMMER BODY STARTS NOW! "They are so friendly and inviting from them minute you walk through the door." "Best decision I have ever made!" "Best place ever!!! They take good care of you." "Best decision I have ever made! I've never felt better!" "Most helpful, motivational and friendliest staff!" "Great staff and good people!" Physicians WEIGHT LOSS Centers is a Fairfax, VA weight-loss facility that provides its clients with customized plans to help them reach their weight-loss goals with the many tools available for weight loss: personalized body composition analysis, physician health screenings, weight loss coaching, lipotropic injections, laser lipo body sculpting, prescription diets, appetite suppressants, vitamin B-12 therapy, and prepared foods. Every patient will have access to a range of weight-loss tools that is ideally suited for them. Choosing the right approach for lasting weight loss can be difficult, and that is one reason why so many people fail in their weight loss efforts today. 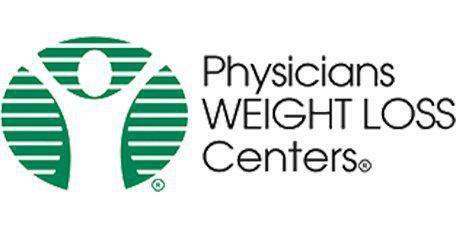 The professional team at Physicians WEIGHT LOSS Centers will work closely with each patient to help them determine the products and weight-loss services that will allow them to succeed, both now and for the long term. Call today to arrange a consultation!